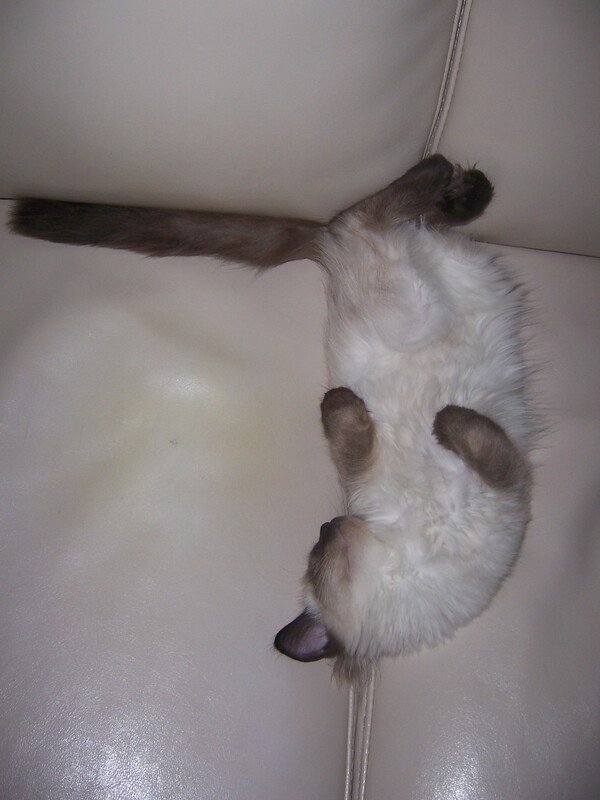 Muffola has the right idea for a cat-nap weekend. This was an amazingly lazy weekend — the kind of weekend when, as a kid, I would lounge around all day and watch old science fiction films like Godzilla, Invasion of the Body Snatchers, and Children of the Damned. Today, though, with hundreds of channels from which to choose, there’s nothing to watch on television. But there is a new iPad staring at me. Just when I thought I didn’t have a postable idea, I think I heard the iPad whisper my name. So to fill the indoor day, I went on a free app spree to look for games that might appeal to the gardener in me — and maybe even the gardener in you. 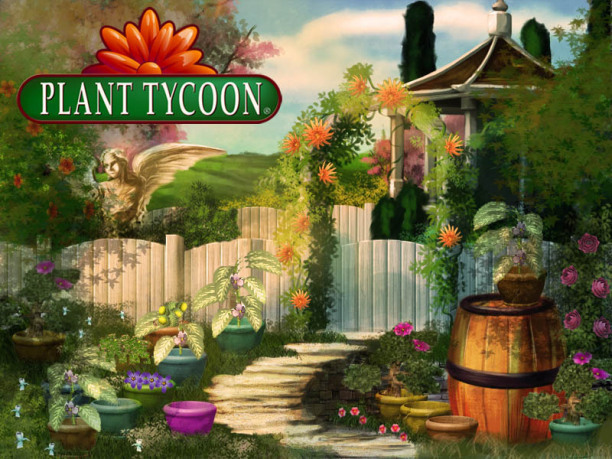 Plant Tycoon: In this game, you’re a seed collector and there’s an island, Isola (oiginal, huh? ), where there is talk of 6 magical seeds. Armed with a few seeds from this lush island, it is your job to breed and nurture new plant species, sell and propagate, and continue to research until you unlock the secrets of the magic seeds. Much of the play is spent in the potting shed, where you fill pots with soil, manage pest infestations, water the seedlings, etc. At some point — I say some point, because I can’t seem to reach that point — you collect seeds, sell plants, and purchase supplies. This virtual garden doesn’t really provide the instant gratification of getting your hands dirty — but that could be a good thing. Dirty hands would make a mess of the iPad screen. Flower Garden: The idea is pretty simple. Plant seeds in your iPad pot, nurture them, clip the blooms, and send virtual bouquets to friends. Is that a collective yawn I hear? 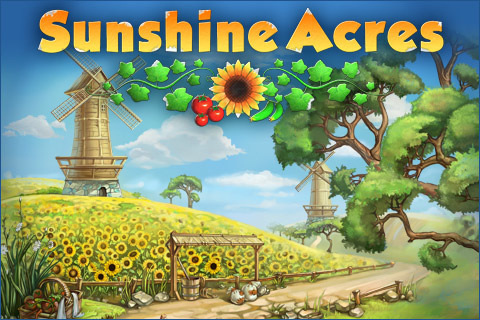 Sunshine Acres: Although it sounds like an assisted living community, I actually had some fun in this garden. I’m not quite sure how I achieved certain goals, but I did a lot of tapping and planting and watering to make sure my sunflowers grew. In time, I was able to process sunflower oil. Then, corn became available and more shovels and watering cans. Graphically, like the name implies, the screen is very country friendly. So far, I have reached level 6 in the free version — but now sheep are part of the mix, and it’s my job to tap them to scare them out of the sunflower and corn fields — and my stress level is starting to rise. Reeal-life gardening was never this annoying. Garden Panic: The name alone turned my stomach. The idea did worse. You are in command of a strawberry patch, and it is your job to protect it from incoming pests. To do so, you must place other plants (like cornstalks that can shoot kernels) in strategic locations to keep back the hordes of invaders. I have a better idea: delete. Gardenscapes: First the story. I live in the big polluted city and I receive a letter from my uncle’s butler, telling me that my uncle has died and that he has left me his dilapidated home and garden. So, off I go to claim my inheritance, roll up my sleeves, and get the garden back to its pristine state. To earn money, I have to hold several estate sales, which is actually the puzzle portion of the game. As shoppers arrive, the player must search through the cluttered rooms to find the item for which the customers are shopping. With cash, you can purchase fencing, plants, benches. I chose the relaxed game rather than the timed game — just for the stress-free factor. Sadly, I completed the free version — and there’s a lot more gardening to do. And that would be the gotcha of the game: buy more to play more. Nevertheless, this was probably the most enjoyable of the games. iZen Lite: Now that there is no more Zen from raking, I thought I’d try my hand at a Japanese garden. The app has sand and stone and wind chime sound effects. Serenity is found by raking patterns around the stones and adding additional objects (only with the full version). After some time, those wind chimes are absolutely annoying. Perhaps it would be better for me to keep a bag of leaves and just dump them out and re-rake them when I need to calm down. Today was only the start of the short days and long nights, and I’ve already conquered the iPad gardening world. There’s a lot of down time still to come — what’s a gardener to do? Seed catalogues have started to arrive, and I’m letting them pile up for a snowy weekend. There’s always lists to make, ideas to jot down, blogs to read, and dreams to be had. And there are always movies. While I can still curl up on the sofa and watch a classic sci-fi, I find myself looking for films with a gardening theme (stay tuned for my list of must-see gardening films). In the meantime, there’s the call of the iPad and all that work to do on my uncle’s neglected garden. 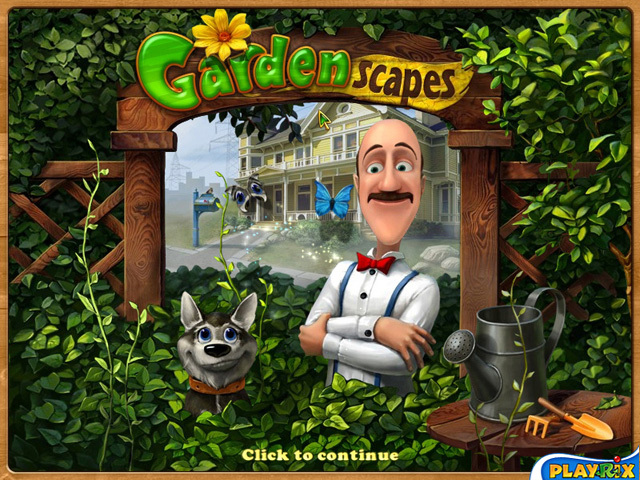 Now the Gardenscapes sound like a lot of fun. I am glad you found some gardening adventures to hold you over the winter.LOL! Happy Thanksgiving! Hi Lona. I think my deceased uncle would be pleased with my progress on the garden. 🙂 Enjoy the holiday! Kind of makes me wish I was teaching a planting unit again! There’s nothing like getting your hands dirty, but these games sound like a good rainy day alternative. Today is warm and sunny though, so out I go to rake leaves. I don’t have an iPad, but I do read a lot of gardening magazines and books during the winter months. While I was reading this, I kept wondering – they can make apps for gardeners but HGTV can’t have a gardening program?! Like a squirrel gathering acorns, I am preparing for winter. Gardening magazines, catalogues, books, movies — too bad HGTV can’t be part of my hibernation cocktail. In the old days, there was nothing like watching a gardening show while the snow came down. . . These games are missing something. How about Plant Defenders, where plants use chemical warfare by producing their own insect repellants against bad guys like aphids and japanese beetles and pump out odor molecules to call in ally bugs to help attack the invaders. This reality based game would have enough action to keep you entertained on the dreariest of winter evenings. That would be great! I was also thinking of a weeding game — choose a plant bad, pinch the screen for a close-up of the soil, and then tap on the weeds to make them disappear. Mindless, yes — but hours of fun. Yup. There are apps for gardening — and millions of other things, as well. And, it is nuts — but I do agree with you there is nothing like taking a slow read through a seed catalog and letting the imagination run wild. And that’s something you just can’t get from an app. I have an ipad too, Kevin. I wish it was an ipad2 as it does more and has a camera but there you go. Sometimes it plays up and thinks it knows better than I do what I want to write (what a cheek!) and makes up some rubbish on my behalf. Android might even have their own games. It’s worth a try — especially now that the weather is getting cold and there is some down time. Have fun! Ha, that’s my husband’s idea of gardening! Sadly I don’t think any game has lived up to the joy of Plants vs. Zombies for me.. There should always be a little time for a little game playing. I will be sure to check out your recommendation. I don’t do games, but I like movies with gardens. Greenfingers is my favorite. Saving Grace is fun too if you don’t mind pot in your pots. The TV series Rosemary andThyme has a body in every garden and the garden inSecond Hand Lions is different. I spend the winter trying to keep my house plants alive. I like your blog! Becky, thanks for stopping by. I’m familiar with “Greenfingers,” but not the others. I’ll be sure to check them out. Enjoy the day.